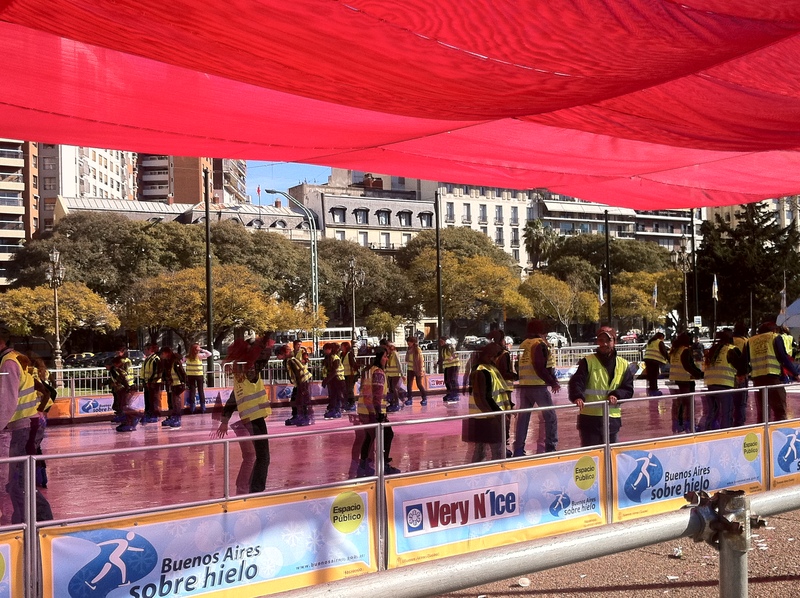 I was terribly excited when I heard that there would be an ice skating ring here in BA. Isn’t it fun to go ice skating in the middle of a city surrounded by houses and buildings? In any case, I love it! Now we don’t have to fly to Europe or New York for that, we have it in our own southern american city. Plaza Uruguay, free entrance if you have DNI, until 25th of august. So hurry up!